It is official. 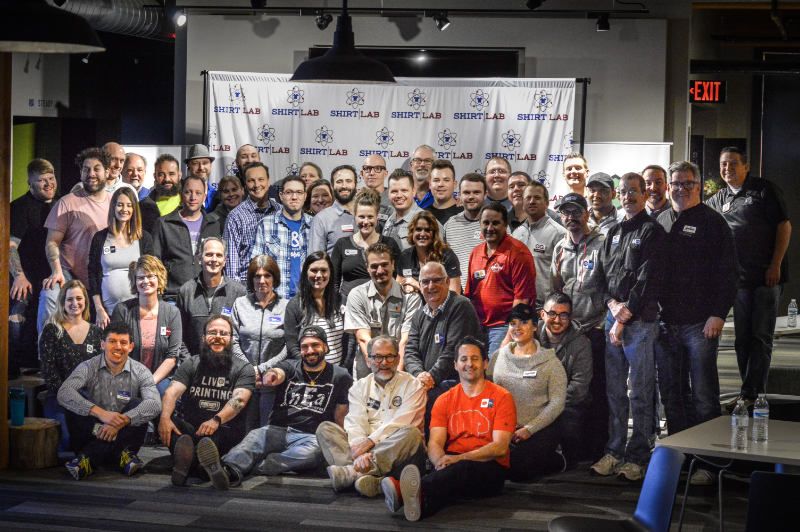 Shirt Lab St. Louis was an amazing success. 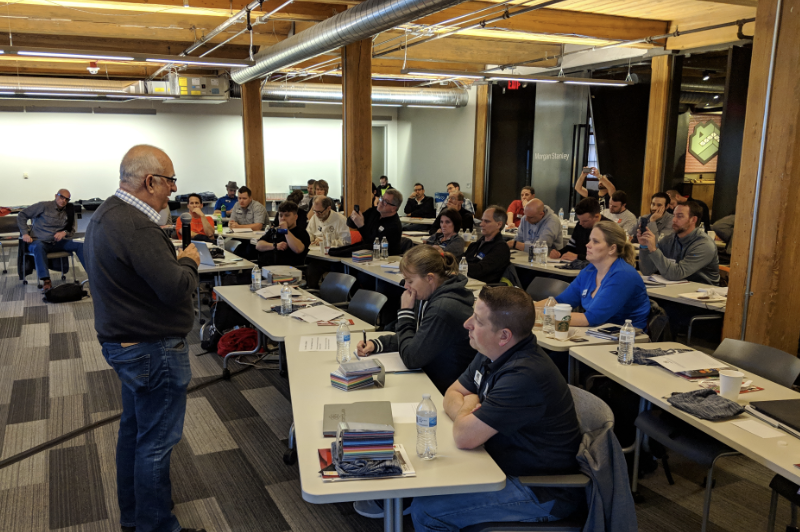 One of the most interesting takeaways from Shirt Lab St. Louis was the fact that I was awestruck by the tremendous amount of expert knowledge not only in the room but being delivered by the instructors. 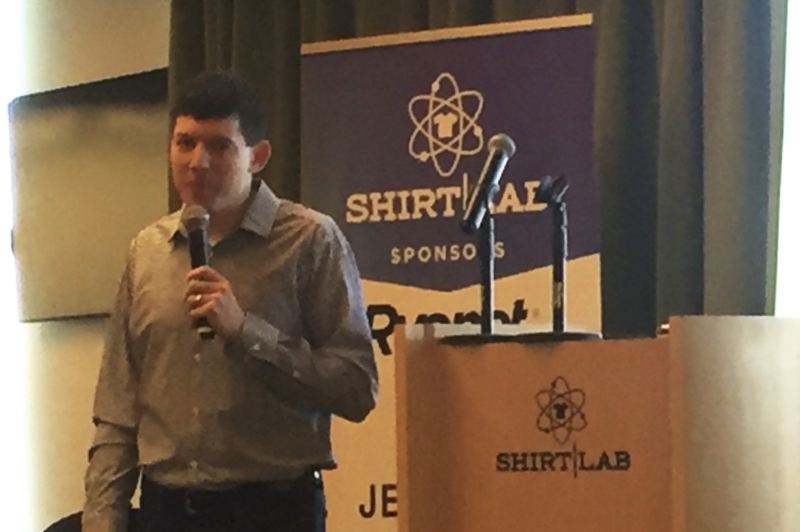 As one of the founders of Shirt Lab, I had the presentations from the instructors well before the event. 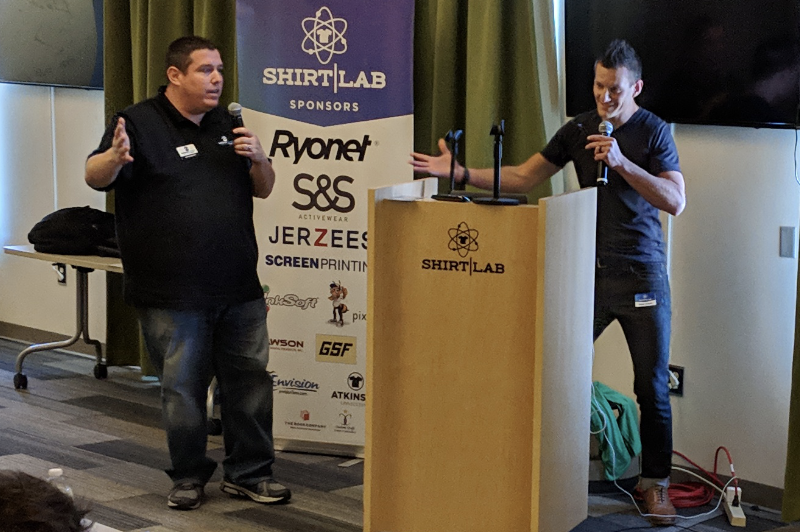 But I wasn’t prepared for the brain melt that transpired as I listened to the interactions between the Shirt Lab attendees, instructors, and sponsors in the room. As each segment was delivered, the knowledge bombs stacked up. Never before has the phrase, “You must be present to win” has been more truthful. Even the instructors, experts in their fields all, paid rapt attention and asking fantastic follow-up questions. But, let’s back up a little bit. Have you been to the “Show Me State”? It was a lot of fun and really easy for our attendees to get too. Nice airport or an easy drive. Plus there is the BBQ. 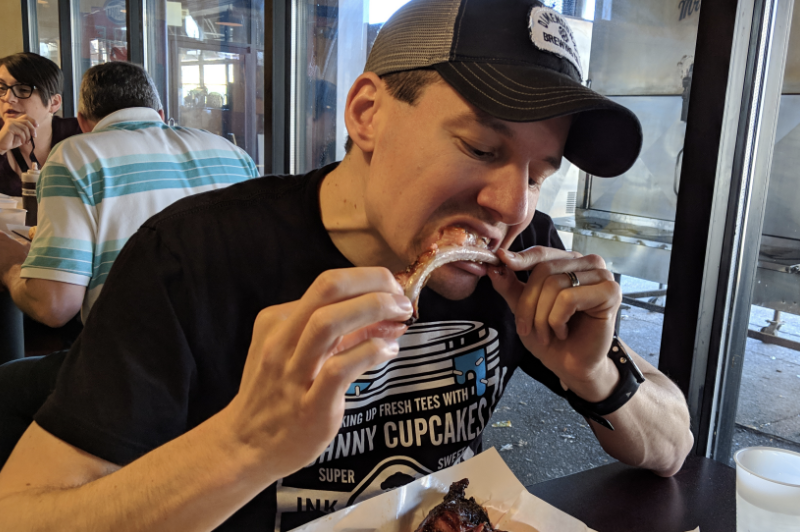 On Thursday we stopped in at Pappy’s Smokehouse. Tom can tear up some ribs. Tom and I can’t do it all. Believe it or not, we need help. This comes in the form of our incredibly generous sponsors. Please drop what you are doing right now and throw them some business. 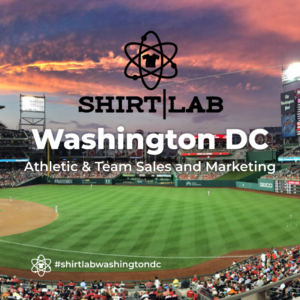 They can’t sell equipment, shirts or ink at Shirt Lab. They back us because it makes the industry better. We’re not a trade show. Tom and I just want to make the industry better and build a tribe of like-minded people who share that same dream. One of the things we like to do is to network with a local printer for a Shirt Lab event. In Columbus Ohio, that was Nate Leber with Leber Designs and Graphics. In St. Louis it was Jonathan and Danielle Tynes with Kick Print. They run a fantastic shop, and really have their processes dialed in. Impressive. 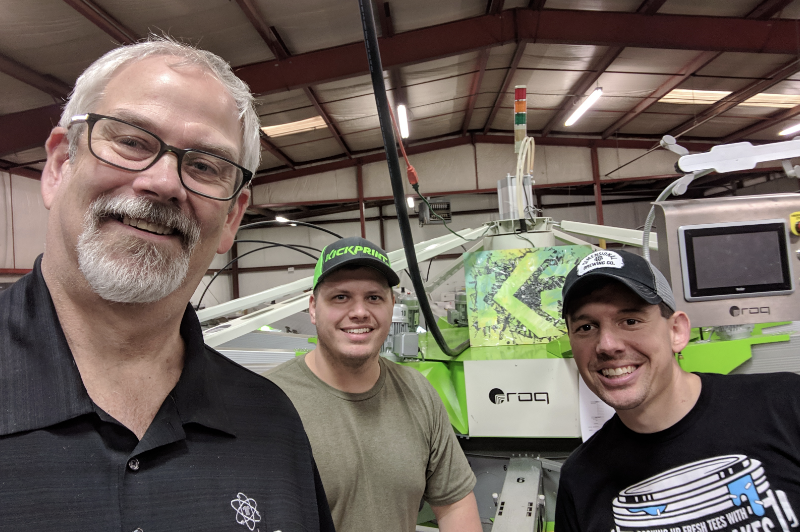 On Friday around midday, we journeyed over to Lawson Screen & Digital Equipment for a fun tour of their shop and broadcast a Facebook live event. Here’s the video link from that visit from Lawson’s recording. Shirt Lab attendees Bobby Harris with K&B Promotions (2nd Shirt Lab), Megan Urban with IdntiTeez (2nd Shirt Lab) and Darryl Garcia with Color Tech (1st Shirt Lab) all Ubered over with us to Lawson for a fun tour. Huge shout out to Taylor Landesmann for his hospitality and financial support for Shirt Lab. 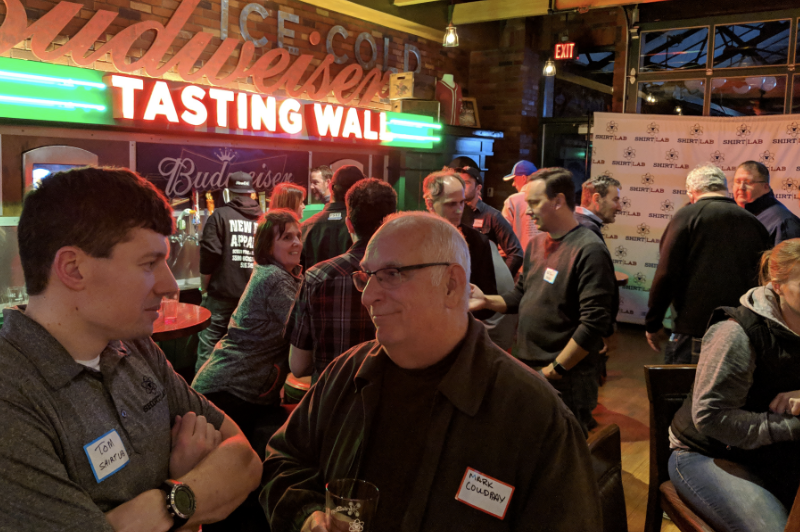 For our Friday Night networking event, InkSoft helped us build a perfect event. First, we had it at the Budweiser Tap Room in Ballpark Village. We had our own section and using Shirt Lab / InkSoft pint glasses, everyone helped themselves to our own selection of about ten beers. You just pulled your own beer. 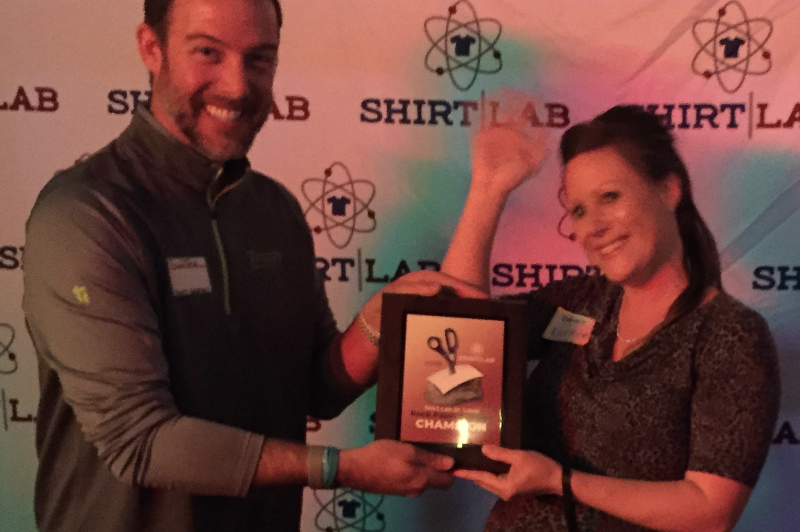 As usual, our networking event is the Rock Paper Scissors championship and Danielle Tynes from Kick Print was the Shirt Lab St. Louis champion! Here’s a fun shot of Danielle being presented the trophy by Scooter Cardoza from Trinity Graphics, who was the Shirt Lab Columbus winner. Big shout out to Kevin Loose (Shirt Lab Columbus) and Custom Craft Trophy for supplying the hardware. 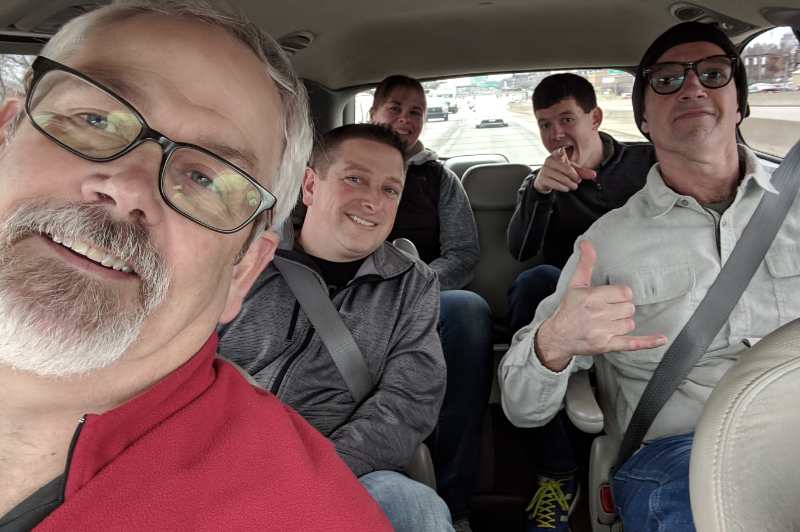 Shirt Lab co-founder Tom Rauen kicked the day off with his personal method of inventing the “interesting character” in his hometown of Dubuque Iowa. For starters, when Tom walks into a room just about everyone already knows who he is and what he does. He’s worked very hard at creating this persona to his advantage. Which is why he’s been featured in the Wall Street Journal, USA Today, on television news channels, and all of the other local media. Journalists call him for his opinion. He’s always at work creating new and interesting ways of getting his brand out there. From setting the Guinness Book of World Records for wearing the most t-shirts at one time (247), to being the national polar vortex correspondent for international media by freezing a wet t-shirt on the doorstep of his shop. He even got coverage when the Catholic church was convening to name the new pope, which coincided with the month of March, by creating the “Pope Bracket”, which was a March Madness type bracket of all of the cardinals that were slated to be picked. It’s always something different, and Tom walked everyone through his journey for building his brand. Next up was Matt Plapp. 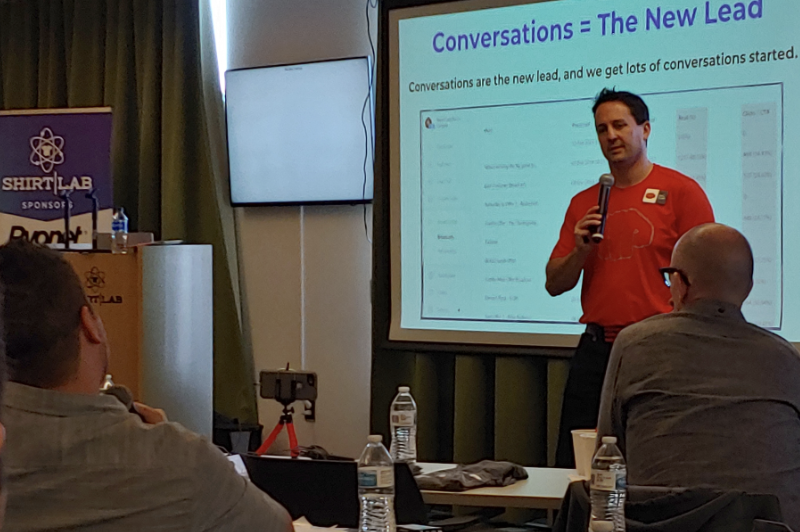 Matt travels the country training companies on how to use Facebook to gain more customers by using primarily one tool, Facebook Messenger. Matt has an interesting take on “normal” marketing and that is the proposition that nobody is consuming your content as they did before, or at the levels that you expect. Let’s say you have a mailing list of 2,000 customers. If you are pushing out some interesting content, you might have an open rate of about 20-30%, and a click-through rate of 10-20% of that. That’s 400-600 people opening that email, about 40 – 120 people reading it. Out of 2,000 people on that list. Matt walked everyone through a different journey using Facebook Messenger and creating automated bots. These would be set up on your brand page, not your personal page. He likes Facebook Messenger because it is a more human way of engaging your audience. He uses segmented and highly targeted posts that will generate open and engagement rates that are 80-90%, instead of 10-20%. That’s because they are taken down a path that filters out the message and who gets it. It’s not one-size fits all. Matt carefully explained how he builds this out, and he answered dozens of questions from the Shirt Lab crowd. 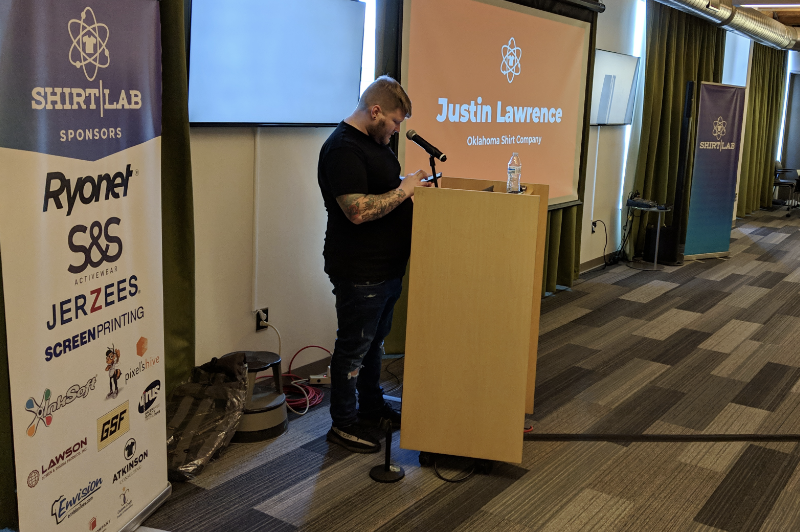 I polled a number of the attendees before the event, and this segment taught by Justin Lawrence of the Oklahoma Shirt Company was one of the main reasons many of the attendees came to the event. Justin wove his journey into the industry and told the tale of how he started the Oklahoma Shirt Company subscription t-shirt idea. It was funny, inspiring, and loaded with “How-To” and “You Better Not” tips. Justin shared his failures too. In fact, one of the things I like the most about Justin’s presentation was constant words of caution. He wanted to be clear about expectations and the amount of hard work it takes to build that service. A lot of his success with running a subscription service comes from being organized and working backward from when he wants his customers to get the new t-shirt for the month in their hands. His shop has everything mapped out and they use a calendar for planning each step along the way. Justin is a printer’s printer. He was open. Honest. He shared his mistakes so that audience members could start their subscription service and (hopefully) not make them. 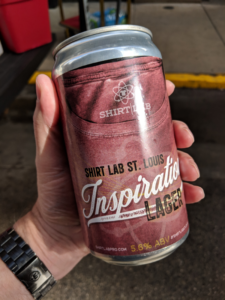 It’s going to be fun tracking how many shops that attended Shirt Lab St. Louis launch their t-shirt subscription idea in the next few weeks. All that learning produced the need to fill up our bellies. 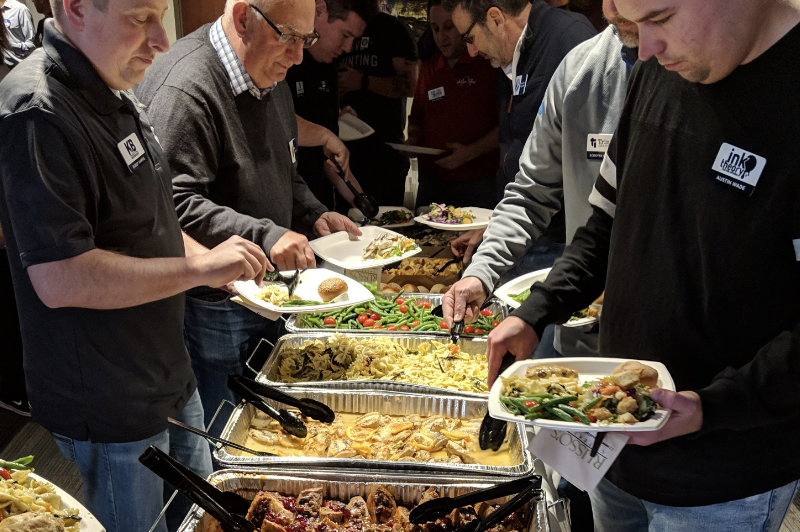 PixelsHive provided catering to our crowd for lunch. It was fantastic! Lunch break was an hour and afforded many conversations about what was taught during the morning sessions, as well as follow up questions with the Shirt Lab workshop instructors. Personally, I chose to eat with Brian Bufka with 1st Place Printing, as we’re Facebook friends and in a lot of the same industry groups. It was wonderful to get to know him better and hear his story about his shop. Time spent working on connections like these is what makes Shirt Lab tick. You can literally say that Mark Coudray “blew the doors off” with his presentation. How can I make that statement? 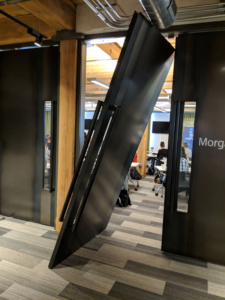 During his talk, someone was quietly sneaking out to use the restroom and this massive solid metal door fell off the hinges to a thunderous crash. Nobody was hurt, but it was a dramatic moment for sure. Profit First is a best-selling business guidebook by Michael Michalowicz. Mark is not only a Profit First Professional, but he has an advanced Profit First certification so he has access to higher level information and resources. If you haven’t read the book, click here and get a copy today. Mark walked everyone through what it means to take a shop through the Profit First journey. 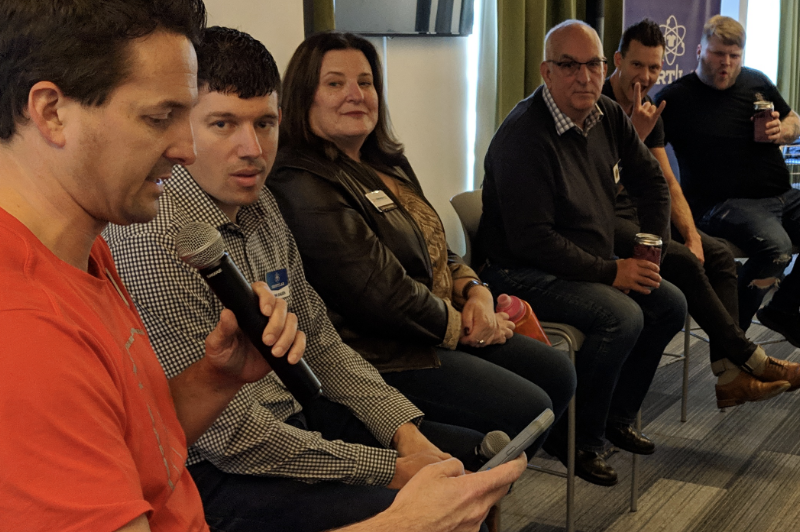 It’s one thing to read the book (or listen to an audio version), it’s another to hear a member of our community describe how it works for our industry. Specifically. Except for the crashing doors, the sounds of pens scribbling in their Shirt Lab journals, the audience was quiet. This was the good stuff. Even one of the speakers, Matt Plapp, came up to the front row to absorb this information. Every Shirt Lab has Ryan Moor doing something with video, but his presentations for each one are uniquely different. For Shirt Lab St. Louis, Ryan walked everyone through the process of building a video to brand and highlight your shop. He used a few specific examples of already published videos and then dissected each one. Could there be any improvements? From the thumbnail chosen to how the videos could be improved for SEO value, Ryan delivered the goods on the foundational basis for constructing branded videos that work for your shop. 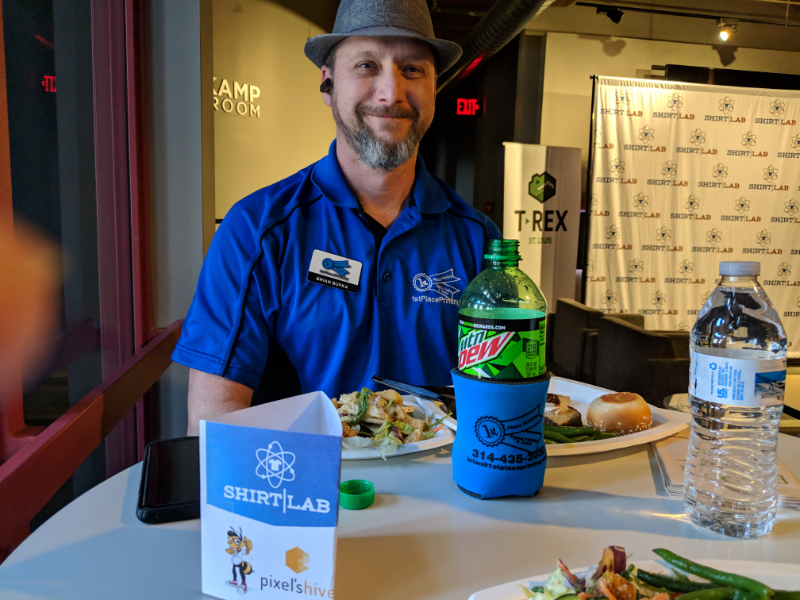 He even walked Shirt Lab attendee Jim Barboza with Gateway Shirts Marketing Group through the finer points of outlining steps to make his videos better. Ryan even made me want to do more with video, as that is something I’ve been wanting to do for some time now. We pegged Lori Feldman, who is the self-titled “Database Diva” to help us with this segment of Shirt Lab. She was fantastic. Lori delivered her presentation in a no-nonsense, but warm and soothing style. She spoke eloquently on what she calls her “Treasure Triangle” for automated marketing. This consists of three areas. “Sell Stuff Now!” through the use of an email or newsletter. “Drive Traffic” using targeted landing pages. And “Automated Marketing”, which uses trigger-based functionality to push potential customers toward action. As the workshop discussion was about automated marketing, you can probably guess which of the three works best. 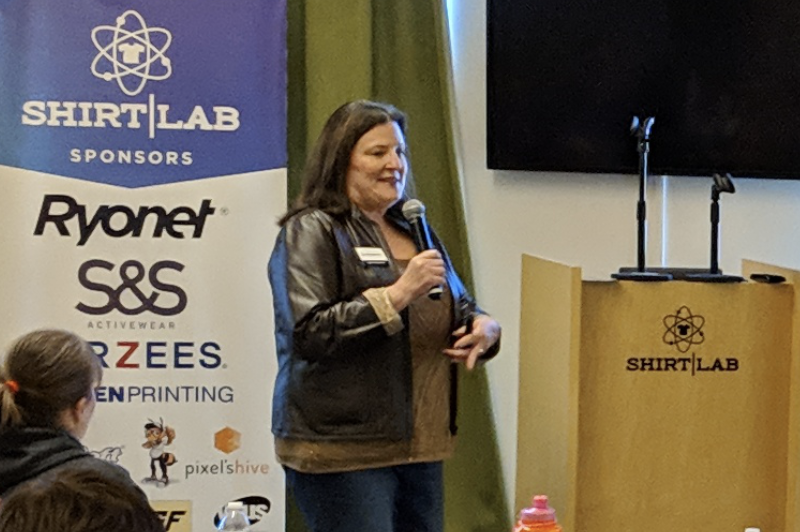 She then expounded on how to create automated marketing emails that work and demonstrated why text-only emails get a significantly higher rate of return and engagement. Lori then dove into illustrating a step-by-step blueprint for two automated marketing campaigns. One was a for a 30-Day Onboarding New Customer Campaign, and the other was a Quote/Proposal Follow Up Campaign. Lori says that 100% of your database should be on some sort of automated drip campaign 100% of the time. You just have to build that. At Shirt Lab Columbus we asked the attendees on our feedback form how we could make Shirt Lab even better. The most popular response was more interaction with the instructors with a Q&A session. And that’s exactly how we closed the day. Attendees jotted down their questions for our panel of experts, and that started a few incredible discussions. Often involving multiple speakers and the Shirt Lab crowd. 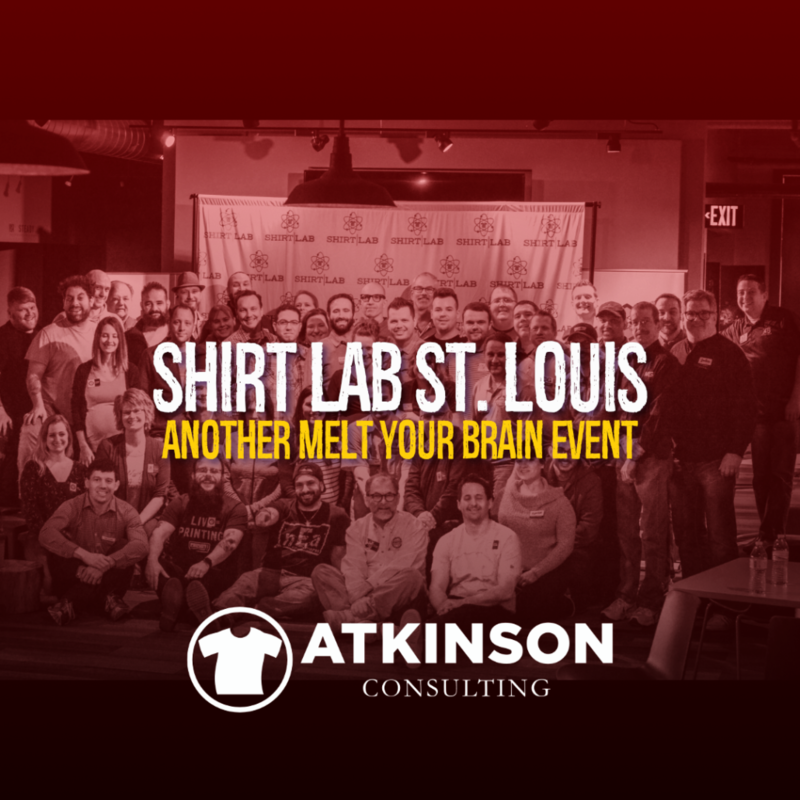 We asked for feedback from the attendees at Shirt Lab St. Louis on what they thought about the event. Whether you are catering to team sports like soccer or Little League, cross fit gyms, or 5k races. As you know, this is a niche all it’s own.